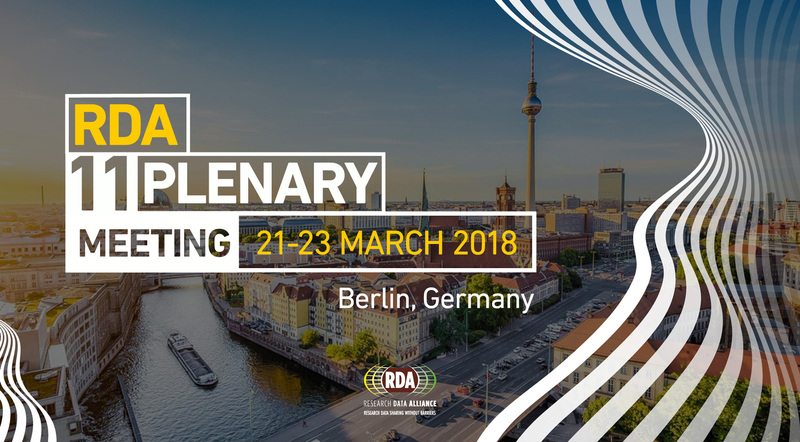 The 11th RDA Plenary Meeting will take place from the 21st to the 23rd March 2018 in Berlin, Germany. Under the theme "From Data to Knowledge", the Plenary meeting welcomes the participation of all data scientists, experts and practitioners engaged in the advancement of data-driven science and economy. The Research Data Alliance and the 2.5-day Plenary meeting provide the ideal, neutral and trustworthy forum to discuss the opportunities and challenges of a global data ecosystem of best practices, standards and interoperable data infrastructures fostering cross-disciplinary knowledge and innovation.